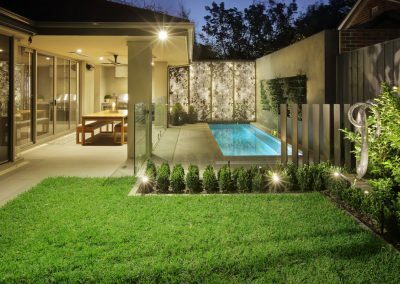 We have transformed this smaller yard into a now superb outdoor entertaining area with a beautiful spacious feel. 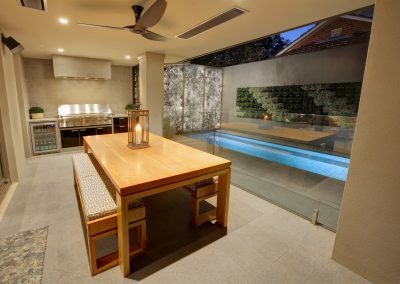 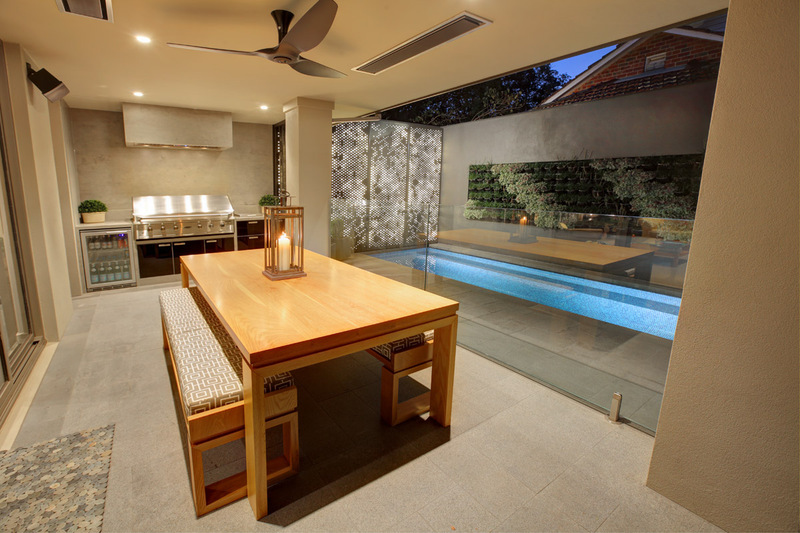 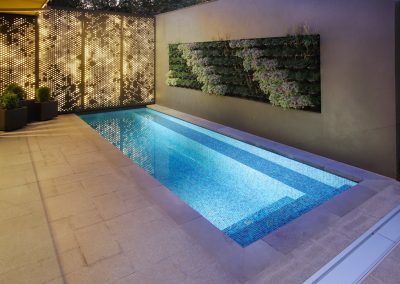 This pool is perfectly showcased in this stunning landscape, framed with a vertical garden feature wall, outstanding alfresco dining area, glass fencing & free standing bollards. 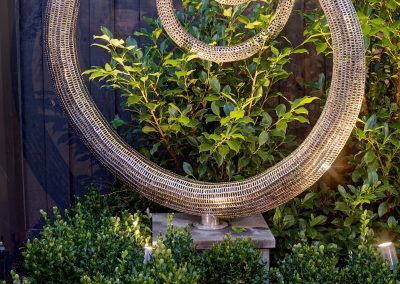 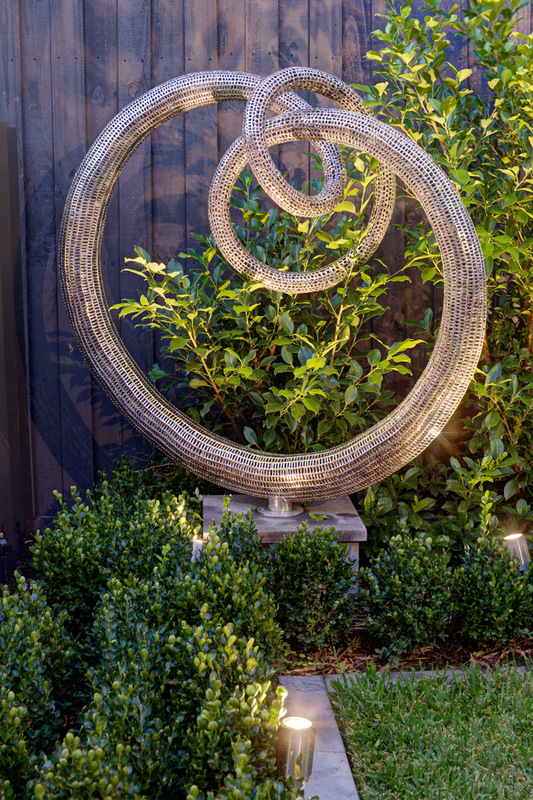 The backdrop is a gorgeous light-box feature panel by Lump Sculpture, complimented with eye-catching artwork set amongst lush green foliage. 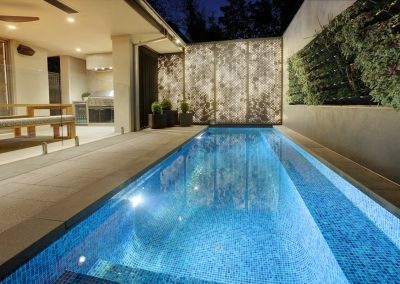 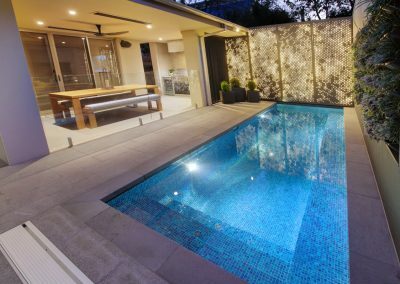 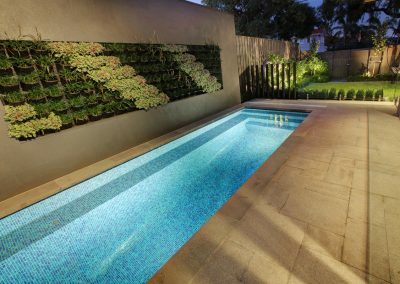 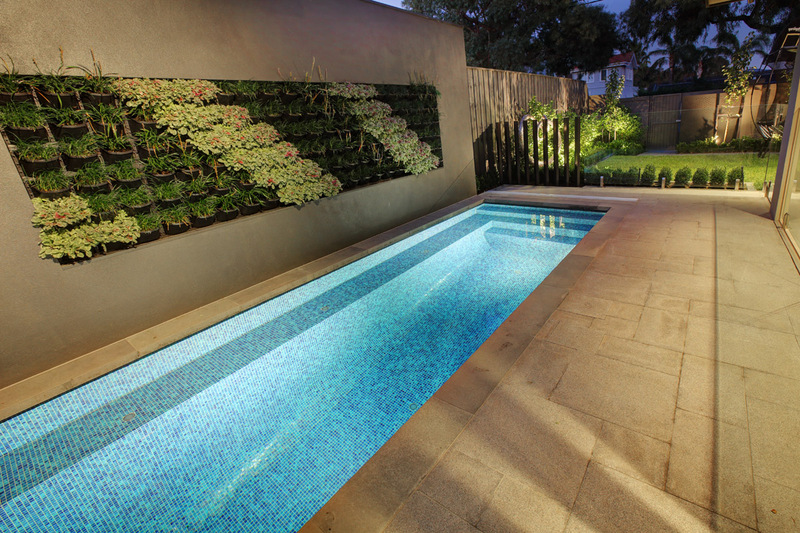 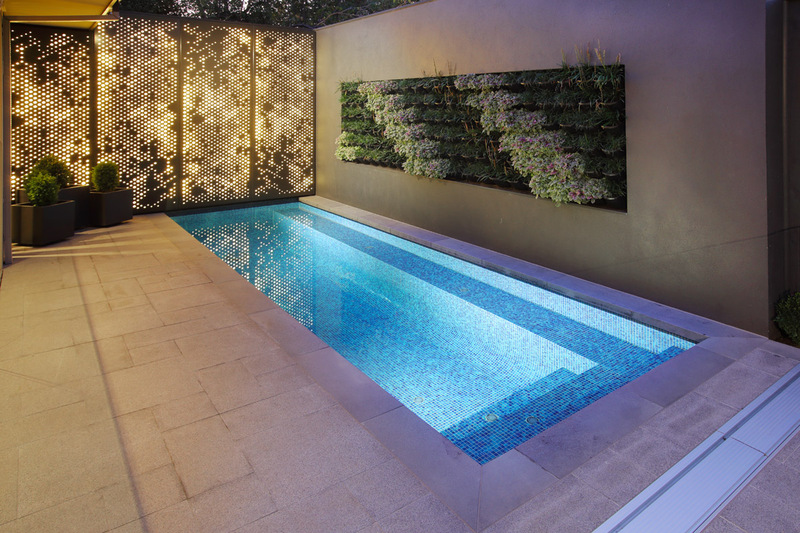 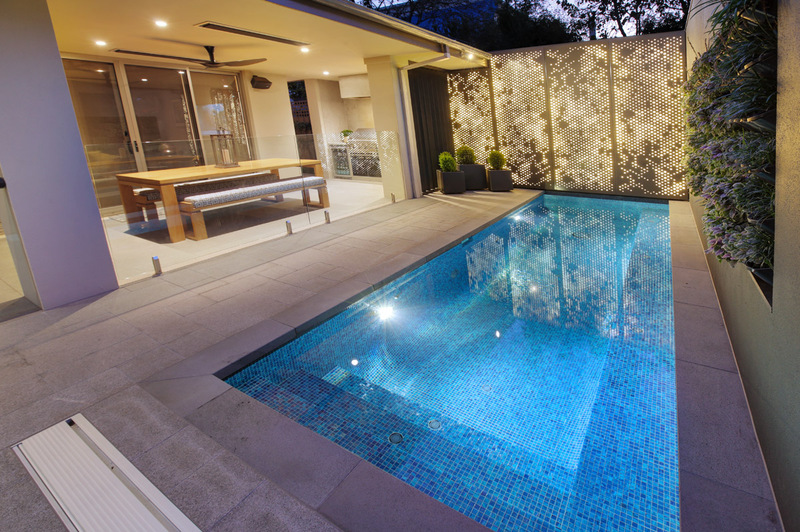 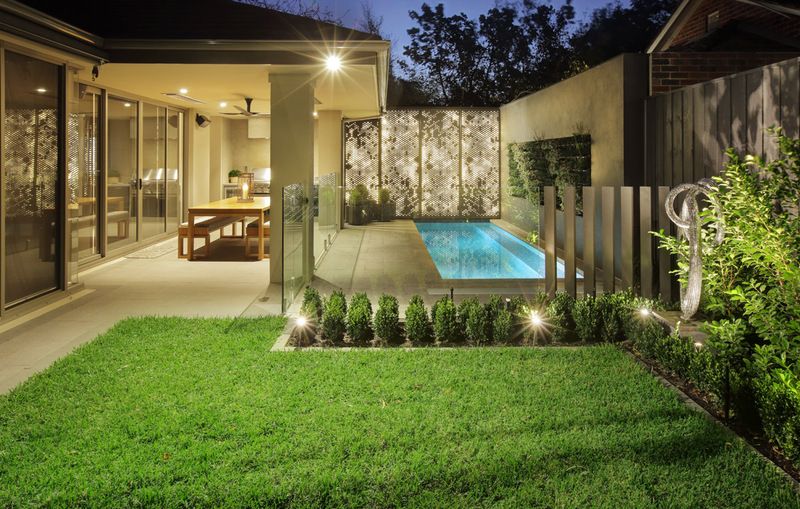 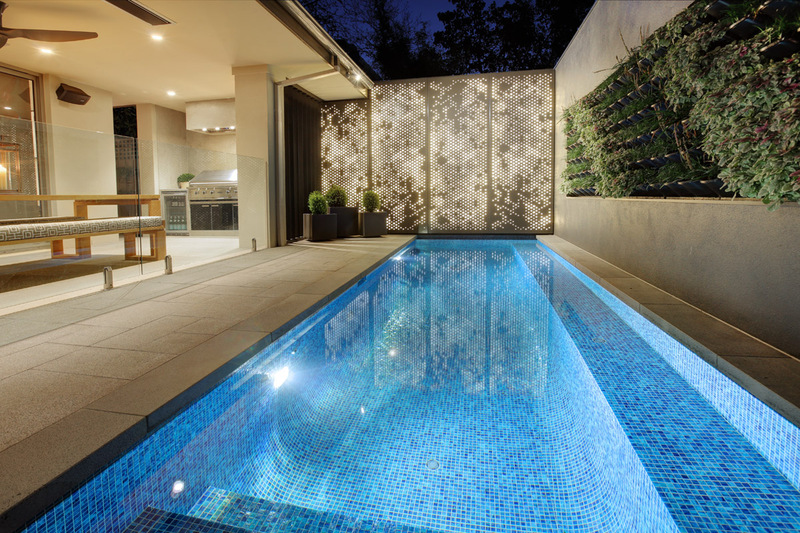 The shimmering glass tiled pool illuminated with the night lights adds to the magic of this garden.